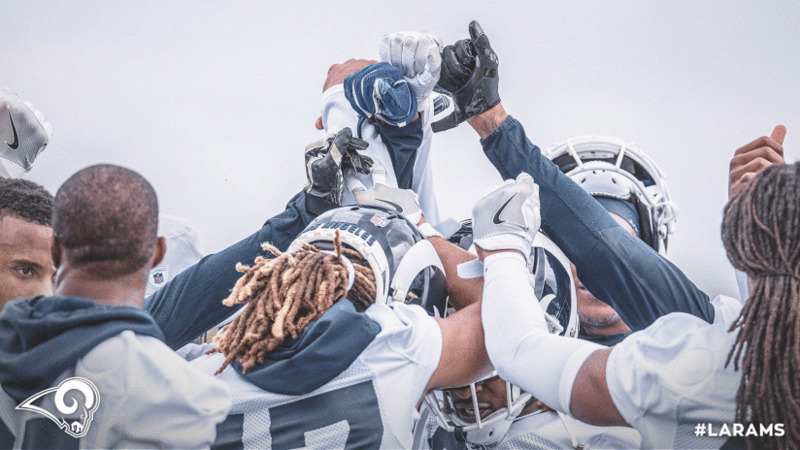 The defending NFC Champion Los Angeles Rams will officially get back to work in their offseason program starting April 15 at the team practice facility in Thousand Oaks, Calif. The NFL offseason program includes three voluntary phases and a mandatory minicamp. Phase one, set to begin two weeks from Monday’s announcement permits classroom work with coaches, as well as strength and conditioning work on the field, where coaches are not allowed. Coaches are permitted to be on the field for Phase Two for drills and instruction, however the Los Angeles offense and defense must practice separately — meaning no team drills or live contact. By late May, the Rams will enter Phase Three of the program — OTAs — where the club is allowed 10 organized team activities, including scrimmages without contact. Programs with returning head coaches are granted an additional mandatory minicamp following Phase Three, this is in addition to the one rookie minicamp allotted to each NFL club, which will be announced at a later date.